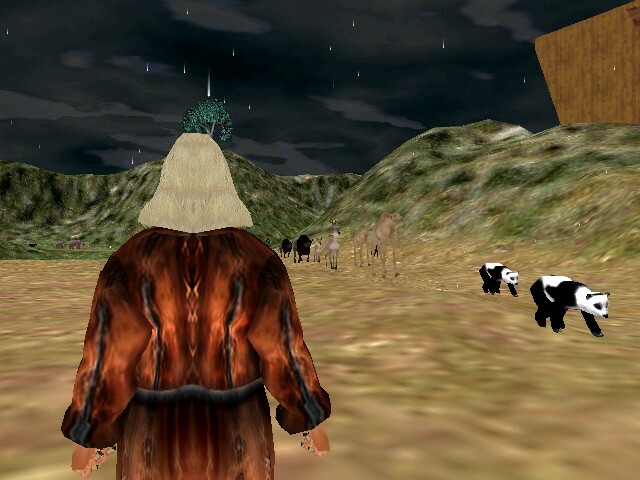 Noah's Adventures is a 3d interactive game for kids ages 5-13. Kids will have fun exploring the Biblically scaled Ark and also learn and be amazed at the creatures and their realistic sounds and animations. - Travel back in time and learn about the story and struggles of Noah. Do you think it was easy getting all those animals in to the ark? Download the free shareware version today. Don't worry! The wild animals don't bite!!! ...... Hide and seek, creature quiz, and Animal Adventure games. THE ZOO RACE � A zoo animal racing game for older kids ages 9-99. Play to win! Qweas is providing links to Noahs Adventures 3.8 as a courtesy, and makes no representations regarding Noahs Adventures or any other applications or any information related thereto. Any questions, complaints or claims regarding this application Noahs Adventures 3.8 must be directed to the appropriate software vendor. You may click the publisher link of Noahs Adventures on the top of this page to get more details about the vendor.